A student from the C. T. Bauer College of Business at the University of Houston was recently honored with a $10,000 scholarship from the Texas Business Hall of Fame Foundation and recognized as one of the state’s strongest future entrepreneurial leaders. The organization selected entrepreneurship junior Noor Daoudi for one of its annual scholarships in May after a lengthy application and interview process. The foundation awards one scholarship per university each year to graduate and undergraduate students from 21 participating Texas universities for their achievements in and out of the classroom. 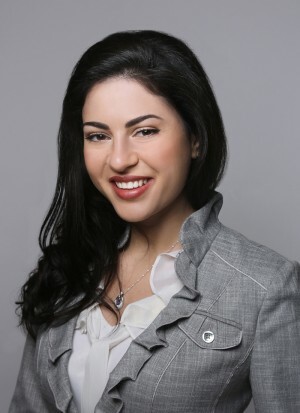 In addition to participating in Bauer College’s Wolff Center for Entrepreneurship, Daoudi has entrepreneurship experience as a co-founder of her family’s business Xtreme Lashes, an eyelash extension company. Involvement in the local business community and entrepreneurial preparation from WCE were no doubt major factors in the decision to award Daoudi the scholarship, which the Texas Business Hall of Fame Foundation sees as an investment into each recipient, who should serve as a representative of the organization. Bauer’s entrepreneurship program has helped to further Daoudi’s innate entrepreneurial passion, she said.